Steven Van Zandt might not have been much of an actor before appearing on The Sopranos, but now that he’s the lead in his own series—the quirky Norwegian mob-drama Lilyhammer—he seems to have finally earned enough clout to start giving jobs to his friends. Well, one of them is his friend, the other one is just his boss. Or should we say Boss? See, because we’re referring to Bruce Springsteen, and some people call him The Boss because of his commanding demeanor and good leadership skills. We’ve gotten a bit ahead of ourselves here, but the point is that Deadline is reporting that Tony Sirico—who appeared alongside Van Zandt in The Sopranos—and Bruce Springsteen—who is in some big rock band with Van Zandt—will appear in the upcoming third season of Lilyhammer. Sirico, being an actual actor, will reportedly have a recurring role as a priest, while Springsteen will be relegated to a guest appearance as a mortician. This whole thing is being presented as Springsteen’s “acting debut,” but that’s not really true. Let’s not forget that he had three or four lines in High Fidelity. Sure, he was playing himself, but it was a dream version of himself that John Cusack had conjured up so he could talk about girls. That counts as acting. 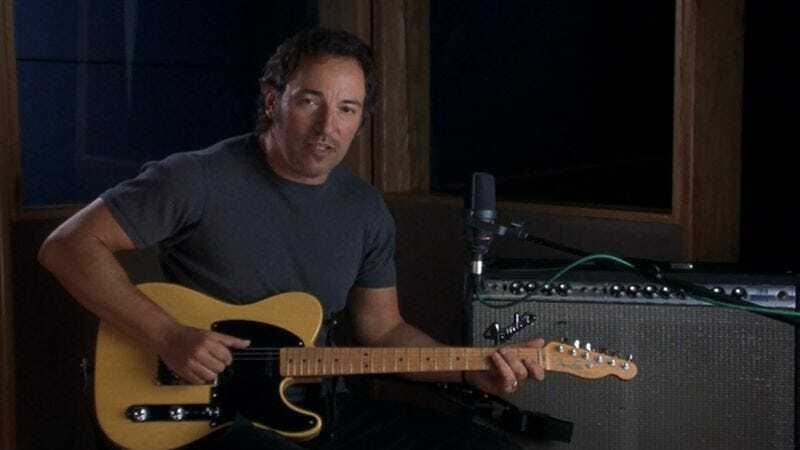 As for Lilyhammer, we assume the majority of Springsteen’s scenes will involve him humming away at some melody in the background as he waits for people to break into song. “Well, I got this guitar,” he’ll chime in. “And I learned how to make it talk.” Then everyone will tell him to shut up so they can talk about how great Van Zandt is, for once. For any readers who don’t live in Norway, the series is also available on Netflix, a popular video streaming service.